Oh, I love this picture! I always get stuck behind a tractor, especially when I'm late! It's like taking a walk with your kids: you want to move faster, but you can't. Very funny indeed. 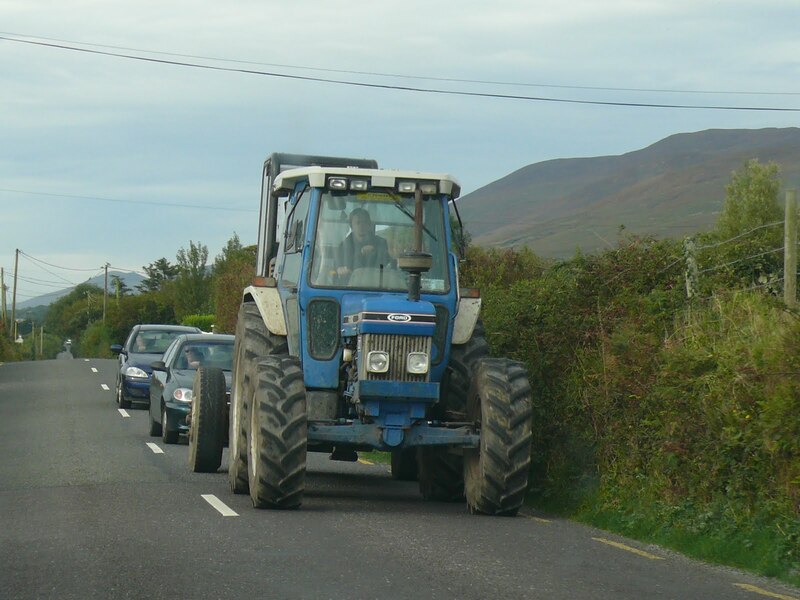 I can imagine the sight of a whole row of cars behind a tractor on one of these narrow Irish roads. You sometimes get to see this in the Gamtoos Valley during citrus time. Oh we have those on our roads and keep the traffic up for ages…. Love it! Your blog is too cute! Happy Wednesday! Bradley turned 7 yesterday !! !